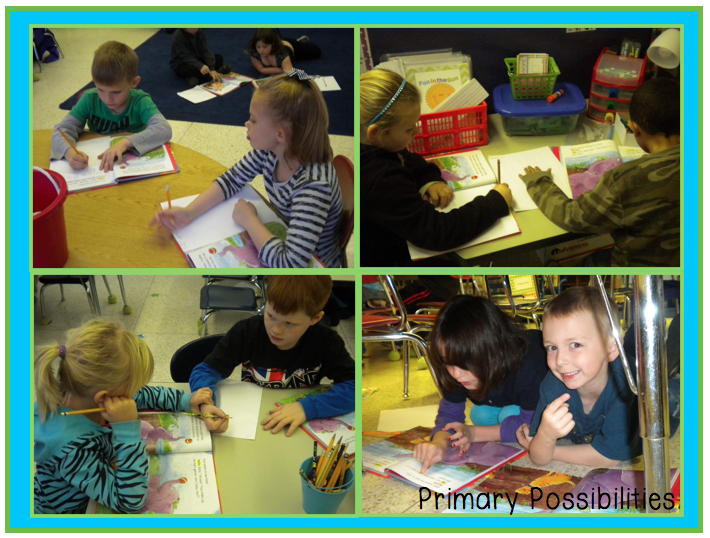 Primary Possibilities: Partner Work and a Freebie! 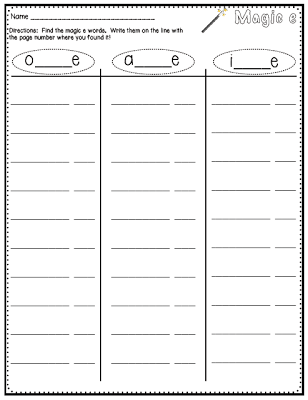 I am linking up with Classroom Freebies for Manic Monday! Nothing satisfies me more as a teacher than seeing my students work together. Something about them discussing what they are learning about and figuring things out together just seems to make my day! My students work together in pairs and in groups quite a bit during our 90-minute reading block. They sometimes work in small groups (5-6) during seat work and work in pairs while they are at their stations. I have a larger group of students this year than last and quite a few personalities so I decided to tweak my rotation schedule so that they work with certain people each week (and never work with others :) ). However, during whole group instruction time, I have them pair up and work on whatever skill we are focusing on that week. This week out skill was magic e and the long o sound as we read the story "Pelican Was Hungry". We switched out our readers to the new book and got busy. I had them go through the entire reader and find words that fit the patterns o_e, a_e, and i_e. Here is the recording sheet we used for this activity. This will work with tons of different books and readers so ENJOY! Click HERE to get to the google doc!